We offer the ideal background for sophisticated private and business events. We offer the ideal background for sophisticated private and business events. Sutter’s Landhaus is perfectly equipped for your family event and all kinds of festivities. Our spacious “Wintergarten” (winter garden) offers room for up to 170 persons, it can also be divided into segments in order to host several smaller groups. Our large outdoor space can be added. 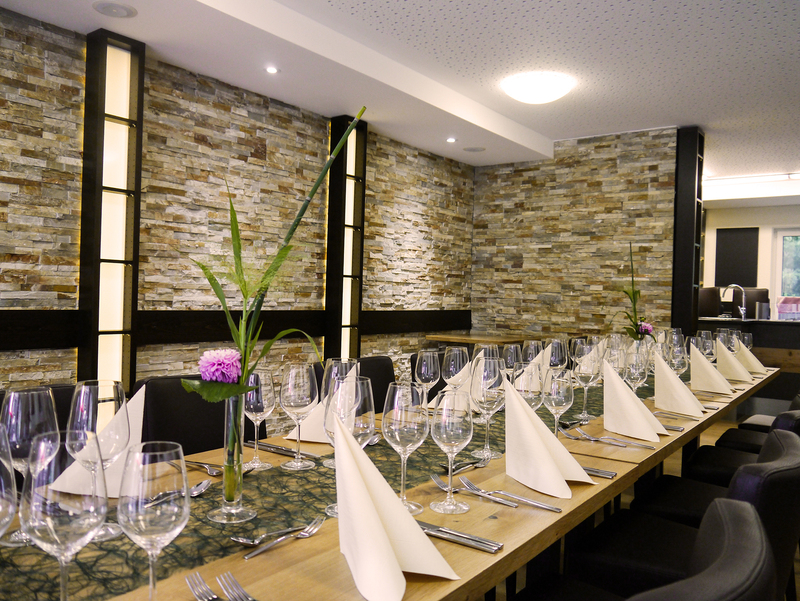 The wine tavern “Weinstube” can host up to 40 persons and offers an adequate atmosphere for smaller parties or events. 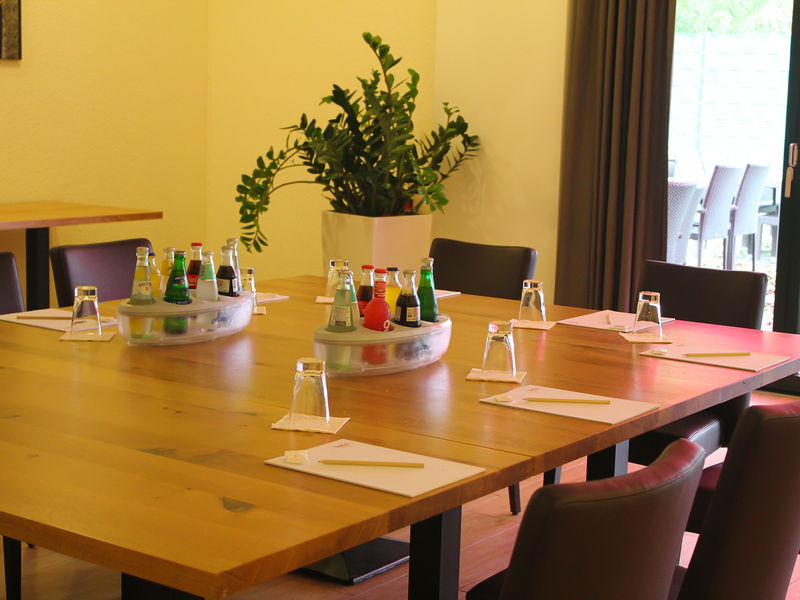 Our conference space is also flexibly separable depending on the size of your event or business meeting. 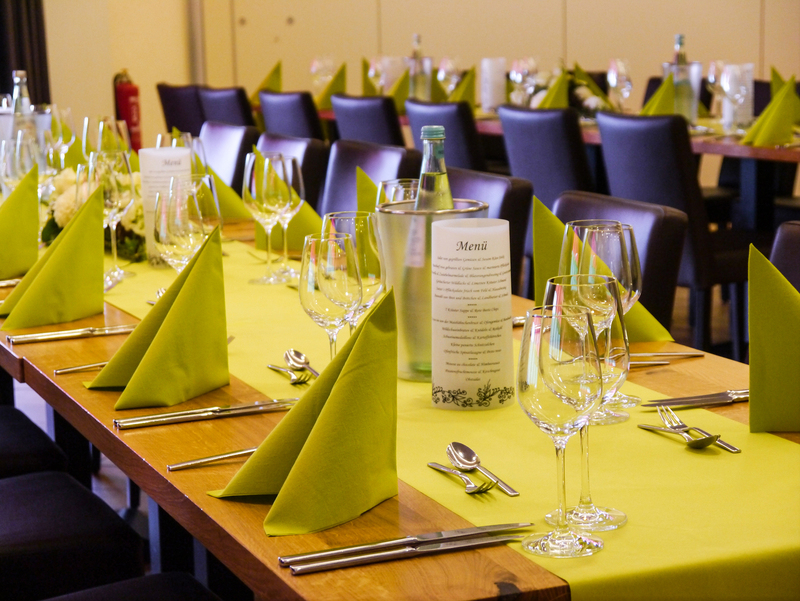 We offer individual arrangements in view of food, beverages and decoration in all mentioned locations. Our flat rates and the technical equipment fulfill all standards and expectations. Sutter’s Landhaus offers the ideal location for challenging company events with its modern conference technology. Board meetings, seminars and workshops can be held in our banqueting area. Detailed information can be found in our conference or banquet folder.